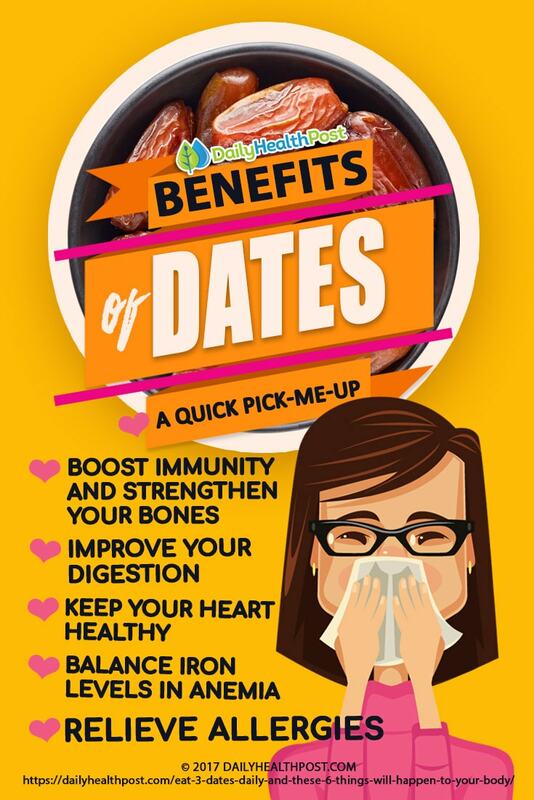 Just like other dried healthy snacks, if you eat dates on a daily basis, you will get tremendous health benefits. But what are they? Dates are an ancient food. Some archeological evidence even suggest they were around as far back as 7000 BC. We also know that this wrinkled, brown fruit has been a staple food in the Middle East for thousands of years—and for good reason. 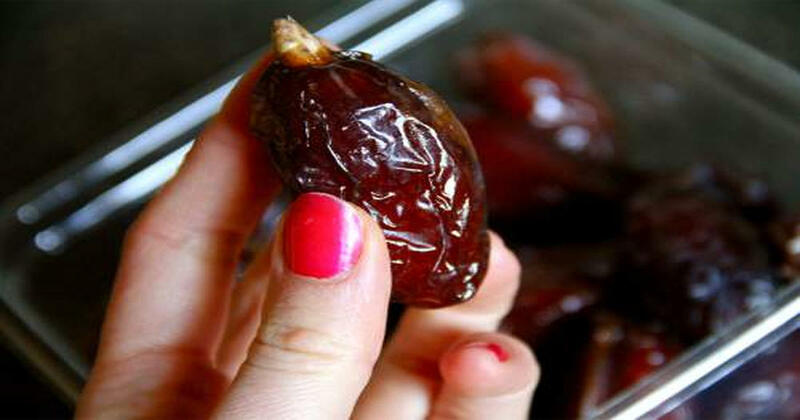 To start, dates are chock-full of minerals, vitamins, and health-benefiting phytonutrients. They contain copper, iron, potassium, magnesium, manganese, a slew of B vitamins including vitamin B6 (pyridoxine), niacin, pantothenic acid, and riboflavin. They also contain good amounts of vitamins A and K and the carotenes, lutein and zeaxanthin. They are also high in fiber, which is very beneficial for helping your body remove toxins in an easy and effective manner. This study concluded that dates contain at least 15 minerals, including selenium, an element that many researchers now believe is a powerful anti-cancer agent and a potent immune booster. It also showed that dates contains 23 types of amino acids and some pretty good unsaturated fatty acids such as palmitoleic, oleic, linoleic, and linolenic acids. And you don’t have to eat a ton of dates to benefit from them. In fact, just eating 3 dates a day can produce some pretty amazing results. 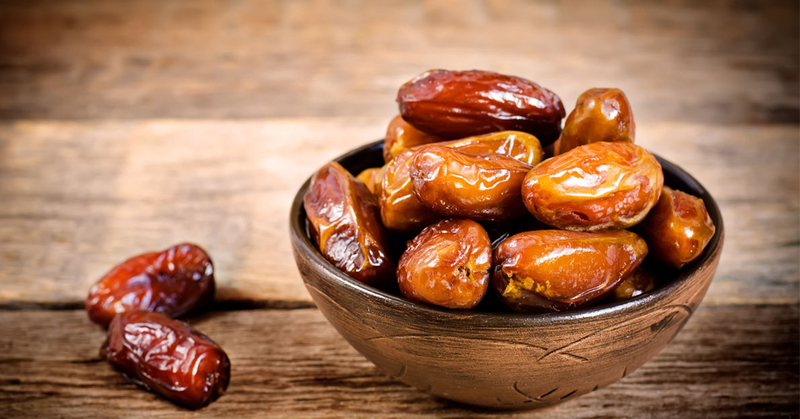 Eating dates can provide you with a safe and effective energy boost. They are just what you need when you hit that 3 pm low. So instead of drinking an energy drink, try to eat dates. Plus, munching on them burns calories and makes you more alert. The dietary fiber in dates will keep you energized for longer and help you avoid the dreaded “sugar-crash” that comes with other sweet snacks. 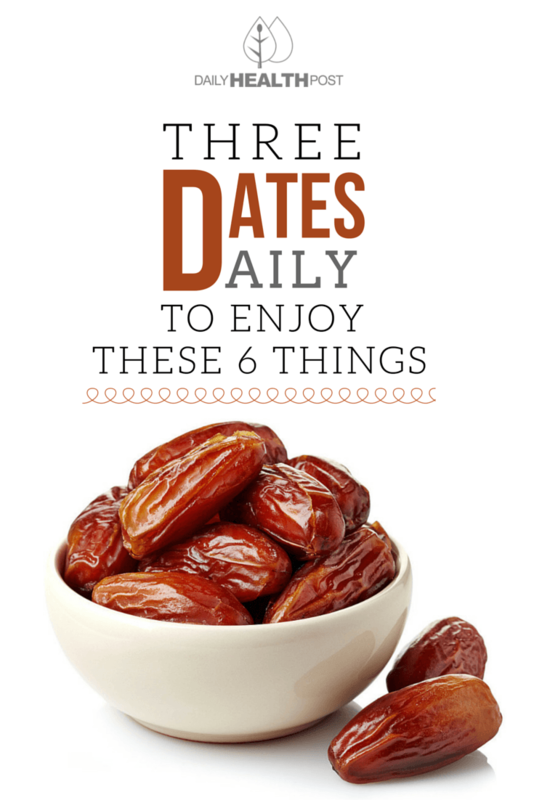 Ironically, dates are also helpful with diarrhea as they help balance your digestive tract. 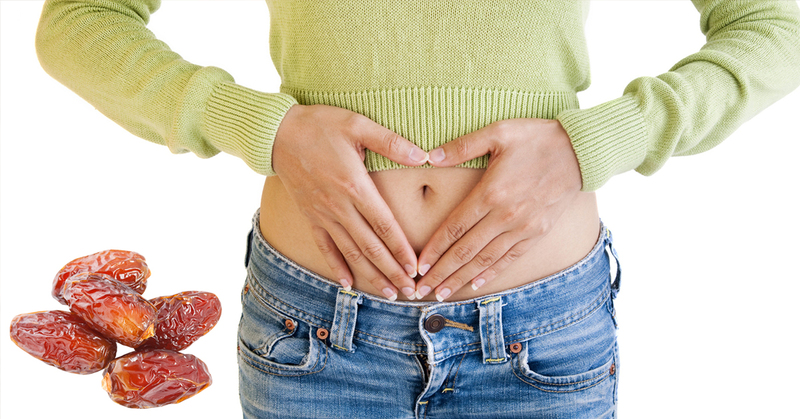 Eating a few dates is a fast and effective way to relieve any gut discomfort because they help improve good bacteria in your digestive tract. Latest Headlines » Nutrition » Eat 3 Dates Daily And These 6 Things Will Happen!